Anthony Morrison – Success With Anthony 2.0 | Checking For A Scam, So You Don't Have To. Anthony Morrison, Success with Anthony 2.0 you have to ask why 2.0? What ever happened to Success with Anthony 1.0? This time I didn’t have to go looking for Anthony he came to find me in the form of an email. So Of course, I opened the email and up popped a video. This is soon to be an internet classic, Anthony comes out of his house waking up to an alarm clock that goes off at 4:15. Of course, I thought it was the poor sap that had to get up and go to work, until he hopped into his Cadillac Escalade then I knew he was the man. So he drives off to the airport to get into his private plane. To go meet 3 lucky people that he is going to teach his full proof system to. I think this is so nice of him to go on his own time to teach these 3 people that just happen to have stories of how they need money. I guess that was pretty lucky he didn’t end up at some millionaires house, and they were all home at the time. So he goes into the first house they sit by the computer where he teaches this guy (sorry I don’t remember his name) for 30 minutes his system. They wait another 60 minutes so the countdown clock in the corner is counting down from 90 minutes If you see the countdown clock it has to be real!? So, Anthony is talking about his product and the countdown clock is counting down 3….2….1. OK guy? refresh the screen and let’s see what happened. They pan into the Clickbank account totals and would you believe that he made $162.52 in an hour!!! Anthony and the guy were just so happy they almost couldn’t believe it, and it has to be real because there was a clock and it was on video. After, the big reveal? they are outside Anthony give him a t-shirt and a camera to video what happens in the next 3 days and send it to him. Were back now let’s see how (the guy) did over the last 3 days. He’s at his computer the only thing were missing is the drum roll he again zooms in at his account totals he did 1,856.63 WOW!!?? A few odd things they show the 3day total in four lines each day and then the total, funny thing is not one of the three daily totals were $162.52 and the day one total was less than $162.52. It could only be the same or more. Now I’m not going to go through the other two stories because they were all the same. The other problem was when Anthony got to “his” plane all three times they only showed a close up of the door? I guess they didn’t want us to know the plane never took off. We know all of this is hype, but come on let’s throw a bit of realism in. At least he only rented a Cadillac Escalade and not a Ferrari, I think he could of because he only borrowed the plane so that must have saved him money. The moral of the story is just cause it’s on TV doesn’t mean it’s real. Mind you he doesn’t talk about any of the specifics of the system itself, while he was at the 3 guys houses. He did talk about how wonderful it was and that you need to have it. Also, that this is what they did in about a half hour so just imagine what you could do. The training does have value. It’s a bunch of stuff to go through. The videos are pretty easy to follow. Anthony doesn’t come out to coach you but, I bet for the right price he would. Support, once you buy your on your own. Too many up sells, to costly, too many sales calls. They collect your information and sell it or give it to other scammers. He was banned from ClickBank. They give you 5 free squeeze pages, but they give everyone the same. You do get some training and I guess the one good thing is if you were to get it for free you would have to google it. It has videos and books online about email marketing, but reading for me anyway its tough for me to learn. It’s easier if I see how it’s done, that would be the videos but its tough to read and watch at the same time. If your, brand new to affiliate marketing I think its confusing. After you do that you take a test on the email portion it’s long and a bit tedious not really very hard, but as I said it’s a bit confusing. The training now goes into Social Meida Marketing also with books 4 of them one on each site they go over. Facebook, Google+, Twitter, and YouTube. There is also about 14 videos to watch and you guessed another test. Again, I think someone brand new might get lost. Finally, if you make it through all that you get to SEO profits. There are a bunch of videos to watch 7 in all and once your done with that there is yep, also another test. The tests are ok though they are a learning check so you can see if you really did understand. The other thing is the up sells in some cases you might need them to get everything you need to know. As usual, they don’t tell you this when you sign up so just beware. The new 2.0 is cheaper than what you see in other reviews because this has been around. Well at least long enough to get kicked out of ClickBank. **$49 one time fee **$4.95 a month cancel anytime? **Don’t forget all the up sells. Anthony Morrison, Success with Anthony 2.0 is not what I would call a scam you do get something for your money. The problem is this system is not for the new to affiliate marketing and that’s what it is marketed to. The other problem is why can’t I buy the 30-minute program where the guys in the beginning made $1700, $1900, and $2800 in just 3 days. Like I said in one of my other reviews I don’t like lies and if you believe in 30 minutes of training these guys made all that money I will put together a system for you, haha. The other issue I have is being kicked out of ClickBank if that’s not a red flag I don’t know what is. That was more because of all the complaints they received from people that bought the system and then wanted their money back. Also, complaints about all the up sells. Again, if you market to people that know nothing about affiliate marketing your going to get a lot of returns because it not geared towards new people. I want to thank you for stopping by. If you bought this system let us know, I would love to know how it worked out for you. If you have any comments please leave them below as well. 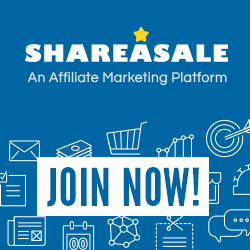 If you are new to Affiliate Marketing and would like to try a training program for free, no credit card required click below.